The most common colors in these collections are orange and pink, and all the DIY styles I tried out included at least one of those two colors. 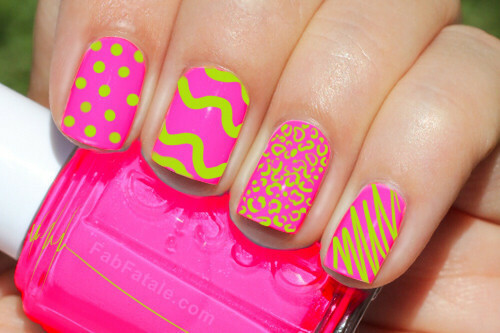 This manicure is incredibly eye-catching, especially when done with neon polish. It’s easiest to use a nail art pen because it has a fine tip that allows for control. It is possible to do this mani with regular polish,but make sure that you have nail polish remover on hand. Try this one in a bright purple or refreshing blue! To create this manicure, use a nail art pen and nail art polish, one in matte and one glossy. The contrast between the matte polish and shiny polish really brings the whole look together. This color combination makes me think of pink lemonade... Either way, it’s cool and refreshing, and sure to draw attention. This manicure speaks for itself. Women used to play up their nail moons, or lunulae, all the time when they first started painting their nails, so why not bring back the trend -- especially because we have matte polish and glossy polish to even further differentiate between the nail sections. If you’re not feeling as confident about the neon trend, this would be the perfect look to try because, essentially, the nail is all one color. If you are feeling like taking a walk on the wild side, you could consider using a different color polish for your moon than what you paint on the rest of your nail! Pictures of the halo manicure have been floating around on Pinterest and Tumblr for weeks now, and I had been dying to try it. We’re back to that pink lemonade feeling ... and I don’t hate it. Creating an outline of the nail requires a thin brush and a very steady hand. Completing this look was rather challenging, but the end result looks awesome! 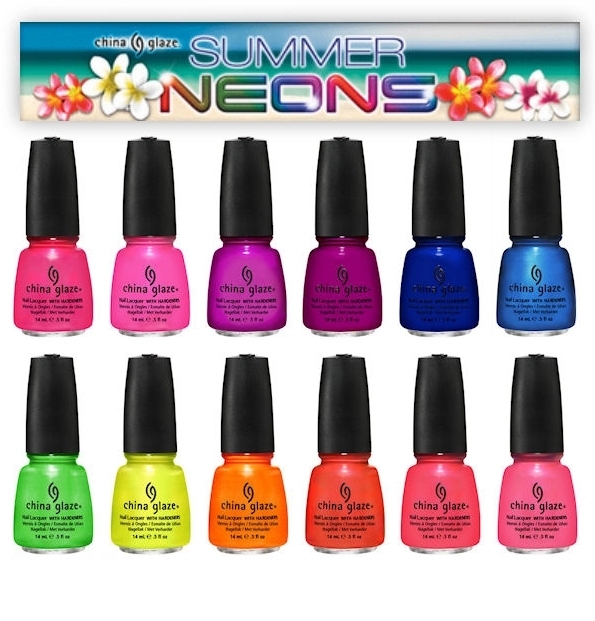 Just think of the endless neon color combinations you could create with this manicure. You could even use black to create the outline and really draw attention to your nails. School may only have been in session for a few weeks, but that doesn’t mean that we can’t add a little math into our mani. Geometric shapes are calculating their way into the neon nail scene. If neon colors don’t intimidate you, this look is yours to try. I found that having some kind of stencil is helpful; trying to paint miniature shapes by hand is fine if you have extra hours to spare in a day; otherwise, it’s not ideal. 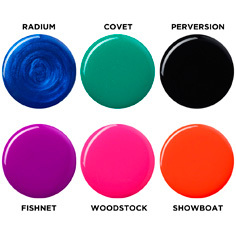 Now, you have five ways to try neon nail color and five less excuses as to why you shouldn’t. Keep in mind that simply painting your nails a solid color across the board always has a polished effect, no matter what’s in style. I do hope that you give at least one of these manicures a try -- you never know, you might surprise yourself!